SALT LAKE CITY October 26, 2017 – Upon receiving reports that naloxone rescue kits were being confiscated, the Utah Opioid Task Force reiterated the legality of the life-saving kits and encouraged first responders, healthcare workers, and others to be ready to use them to save lives. Naloxone hydrochloride (Narcan®) can be a life-saving medication and is used solely as an antidote to reverse an opiate overdose. Utah law permits any individual within the state of Utah to obtain, carry, furnish, and administer naloxone to anyone at risk of overdosing themselves or to anyone at risk of witnessing an overdose around them. While there are different forms of naloxone rescue kits available, the most widely available kit has an injectable form of naloxone. This administration method requires individual naloxone in vials as well as syringes for administration of the medication. The only way to administer this form of naloxone is by using syringes. It is essential that injectable naloxone be carried with syringes always. These syringes are essential for the delivery of this life-saving medication and should not be viewed as paraphernalia. Naloxone may now be obtained without a prescription throughout the state of Utah, via a standing order issued and signed by the Director of the Utah State Department of Health. There is not a prescription required to possess it or furnish it to another individual. There are multiple agencies statewide who are actively supplying kits to community members to help them save lives around them. These include EMS agencies, medical providers, the substance abuse recovery community, agencies that work with those experiencing homelessness, and the state’s largest healthcare organizations. 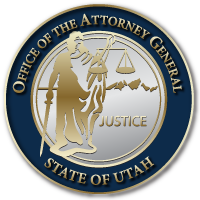 The Utah Opioid Task Force was formed in early 2017 and is a voluntary task force made up of representatives from partner agencies and organizations across the state. The mission of the Task Force is to take action against opioid abuse through law enforcement, prosecution, proposed legislation, and innovation. The Utah Opioid Task Force was organized by Attorney General Sean Reyes, Speaker of the House Greg Hughes, DEA District Agent in Charge Brian Besser, Dr. Jennifer Plumb, and includes representatives from the Utah State Senate, Utah House of Representatives, law enforcement, government agencies, and volunteer organizations. This entry was posted in Recent Posts and last updated on October 26, 2017 .